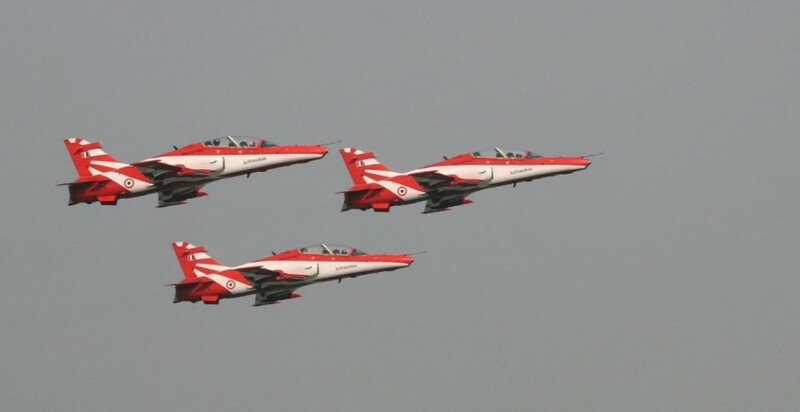 Aero India 2019 edition is all set to kick off later this month from February 20 and is slated to conclude on February 24. It is one of Bangalore's most prestigious biannual events since its inception in 1996. In 2017 edition, more than 60,000 business visitors and 100,000 general visitors attended the Aero India programme and this year, it is anticipated to be even bigger. Like previous years, Defence Exhibition Organisation, Ministry of Defence and Hindustan Aeronautics Limited (HAL) is hosting the event at Yelahanka Air Force station, Bangalore North. Prime Minister Narendra Modi and Defence minister Nirmala Sitharaman and several other dignitaries will be present to kick off the event on February 20. Close to 370 exhibitors both domestic and international aviation companies are expected to attend the 12th edition of Aero India, which comes with a tag line-- 'The Runway to a Billion Opportunities'. Aero India is just not a showcase event for government and business people, but also a platform for general visitors and importantly children to witness the raw power of steel birds and get inspired. Talking of inspiration, Indian-origin (National Aeronautics and Space Administration) NASA astronaut Sunita Williams is also slated to grace the event on day 4 (February 23) of Aero India, which is also called as women's day. Many women achievers will also be present to motivate girls to join the aerospace industry. For the first time ever, Aero India will also host Drone Olympics for start-ups and young adults on day 2 (February 21) in the afternoon. Most importantly, there will be flying aerobatic displays on all four days. World's top aerobatics teams including our own Surya Kiran Team (Indian Air Force), Helicopter Dhruv-powered Sarang Team (Indian Air Force), Sukhoi Su-30MKI (don't miss to catch the cobra manoeuvre),Tejas Light Combat Aircraft (LCA), Boeing F/A-18F Super Hornet and yes Dassault Aviation will also be showing off Rafale fighter jet both in flying sortie and static display. There will several more including Indian-made helicopters, fighter jets, Drones, transport carriers (Lockheed Martin C-130J Super Hercules, Boeing C-17 Globemaster III), even private jets such as Embraer S.A. for business enterprise owners. In total, there will be 57 aircraft on display. For Indian visitors, it is Rs 600 per day for Indian visitors and $25 per day for foreigners. For children under five, the entry is free. It can be noted that general visitors will have restricted access on first two days (February 20 & 21) of the Aero India 2019 and will be allowed to enter the venue in the afternoon and enjoy aerial display only after 2:00 pm. Rest of the days of the event (February 22-24), the gates will be opened in the morning 9:30 am and enjoy, two sessions of flying display (10:00 am to 12:00 pm and 2:00 pm to 5:00 pm). The event closes at 5:30 pm for the day. There is also Rs 1,800 denomination ticket for general visitors and $35 overseas nationals. This pass gives access to Exhibition area during February 23 and 24 in addition to access to the static display and flying display zones. You can buy the tickets on the Book My Show app on mobile or on the Aero India official website (here). You can buy one ticket per account only. Foreign national can only buy the tickets on the Aero India website. Once you get the e-ticket with QR code, make sure get a printout or keep a copy on your mobile. Also, have one government-approved ID such as Drivers licences, Aadhaar card or Voter ID cards. 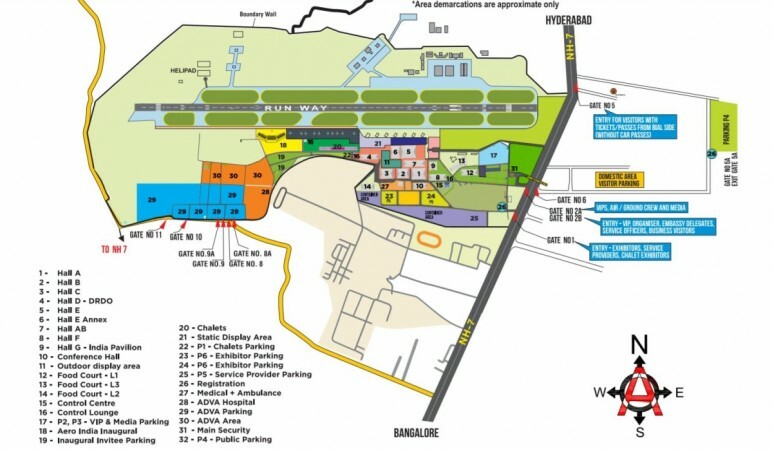 As per the information provided on the Aero India website, access for general visitors (with Rs 1,800), you are required to enter the venue through Gate 5. And those with Rs 600 tickets (Air display visitor) should enter the venue through Gate 8 and 9.